Independent and experienced flexible office search specialists with a focus on Central London. We make the search for office space easy. From one-person start-up to an IPO we are here for you as you grow. Our team will hunt down your perfect office at the right price and will keep everything transparent and straightforward. We offer a cost neutral service, which means that we don’t charge you for our advice. We put you in control of your space requirements - we can organise space for you from just one month to 3 years and beyond. We will ensure that your new workspace is shaped around your needs which will enable you to be productive and inspired from the moment you arrive at your new office. 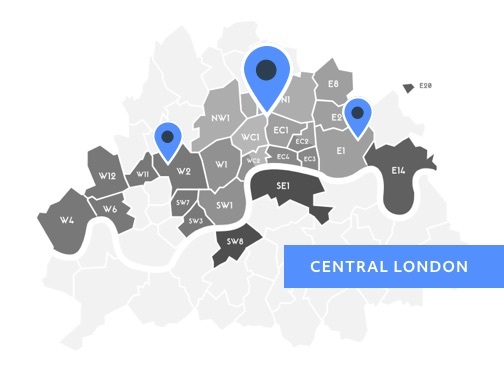 We have 100% market coverage - we know Central London and all its nooks and crannies so will be able to suggest the best location. With over 120 years of property experience in our team, complete independence and a solid track record, you are in safe hands. We take the time to get to know our clients in order to properly understand their requirements. In a complex, changing world, our independence sets us apart – and our connections make us stronger. 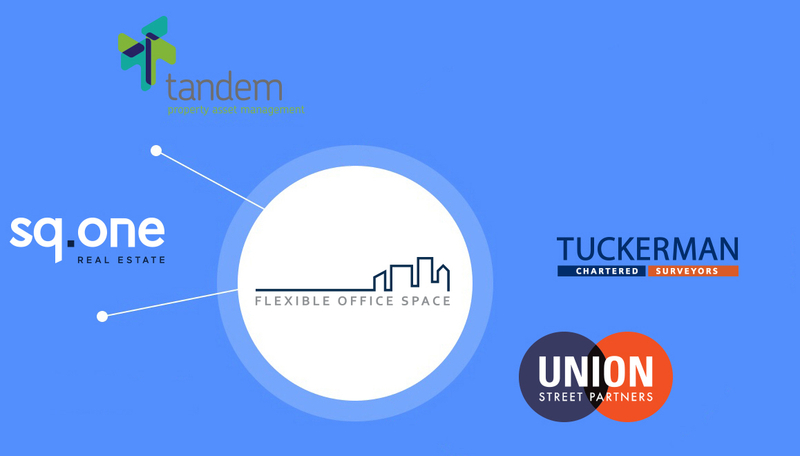 Flexible Office Space is proud to be part of a pioneering group of like-minded businesses set up to provide a complete property service. Individually, each company is a leader in its field, dealing with hundreds of property transactions every month. We share knowledge, expertise and insight to give you a unique perspective – whatever your needs or location. Our businesses were founded on building relationships and providing a fantastic service by properly understanding our clients’ requirements. That is why our clients continue to use us throughout their life, from finding their first office to their tenth. shortlist of your favourite spaces.